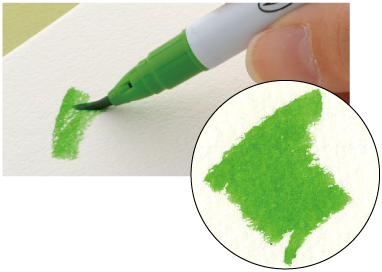 How to Use Real Brush! A whole spectrum of gradations with a single pen. 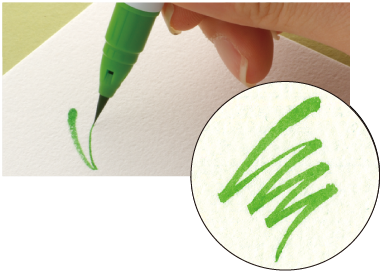 Wet the tip of the pen slightly with water to produce multiple gradations of one color. First apply one color, and before it dries add another color over it to create a color gradation. 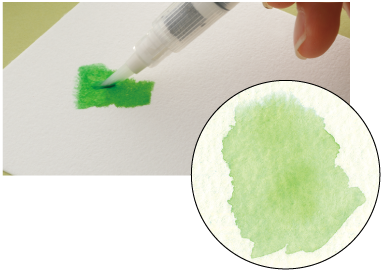 Apply a darker-colored ink directly to the tip of a light-colored pen to create a gradation when you draw with the light color.